Discussion in 'Android Apps & Games' started by galize, Dec 22, 2009. You can move blocks to the left or right, as long as there's space. A block on top of blank space will fall into it. A block touching another block of the same type will vanish. A level is finished when all the blocks have been vanished. More than 1000 levels available in full-version, from easy for childs to impossible for Einstein. 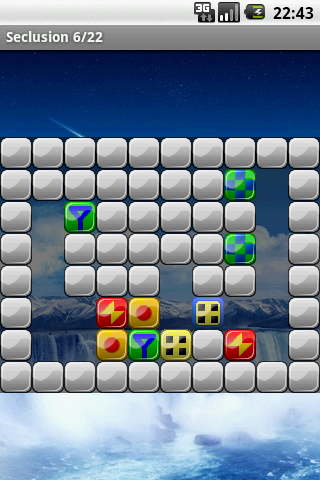 nice graphics, easy rules, playing with fingers, scrollpad or arrows. 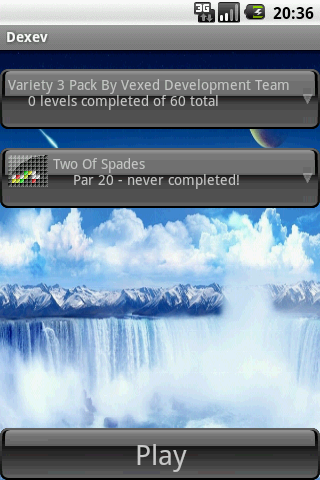 Unlimited undo, best scores per level. So what is the difference between this and Vexed Pro? From what i've seen, the rules and puzzles are almost the same. Graphics, playability and interface are very different. Developer, continent, native language, price and currency are different too. Everyone can hate or appreciate this puzzle game and prefer one or the other adaptation.